is a database application to manage your ECG tests and patient data. It is also an "Integrated Work Station" that allows you to perform new Rest and Stress ECG tests. Why do we need to use this system ? As the number of patients in your clinic grows, it becomes harder to access and handle all these ECG recordings. Workstation manages your ECG recordings by storing them in an orderly fashion. 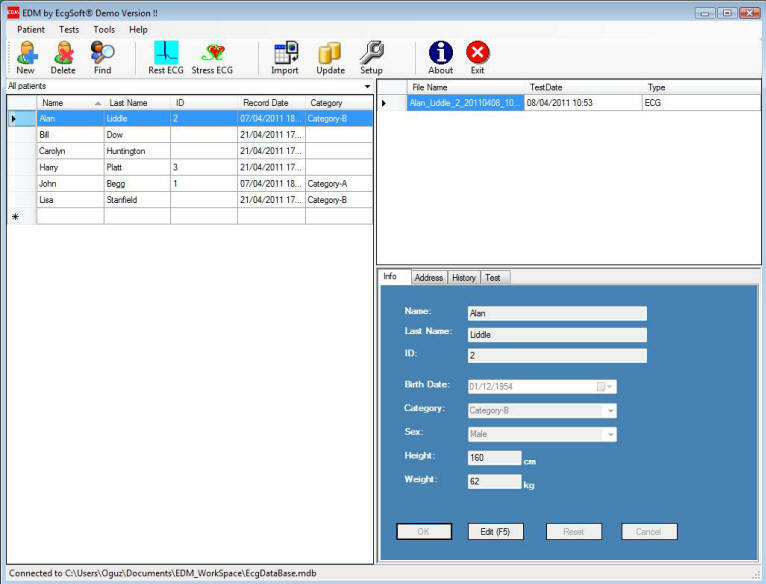 You can then easily search, access, edit, group, print and view patient data and ECG tests.